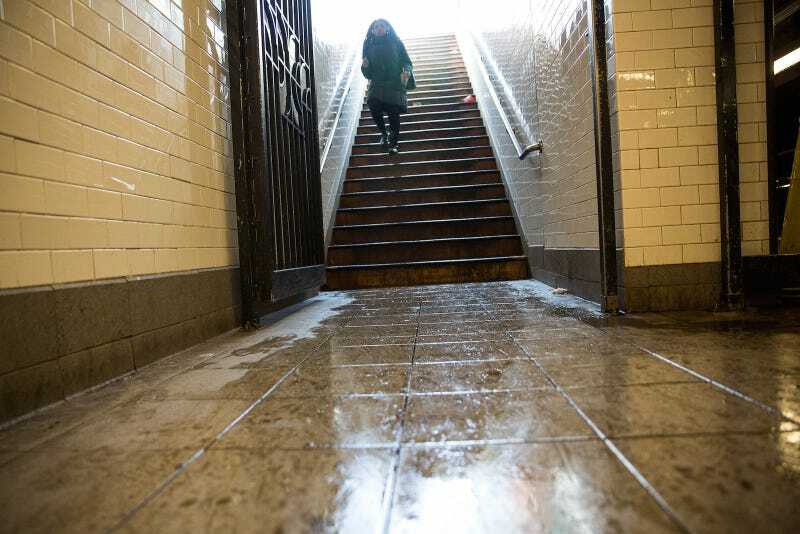 A 22-year-old Connecticut woman has reportedly died after a fall down a flight of stairs in a New York City subway station. Malaysia Goodson was trying to carry her 1-year-old baby in a stroller down the subway stairs. The station where Goodson fell is one of the hundreds in New York City that still does not have a functional elevator. The New York Times reports that Goodson fell around 8 p.m. on Monday night at the Seventh Avenue subway station in Manhattan, which is at 53rd Street. While the medical examiner’s office will determine her cause of death, she was unconscious when officers arrived, the paper reports. Goodson’s infant daughter was found conscious. Per the Times, she was taken to her father and grandmother. In the meantime, as anyone who has ever ventured underground can tell you, the elevators that do exist are frequently broken. It is not uncommon to see strangers stop to help a person with a baby stroller carry it down the stairs; it’s even more common to see a person with an infant in a stroller struggling down the stairs alone. We’ve contacted the MTA for comment and will update should we hear back.